An interactive session was organised on “Competency Integrity for Finance Jobs” on 12th March, 2016 for the students of PGDM finance specialization. 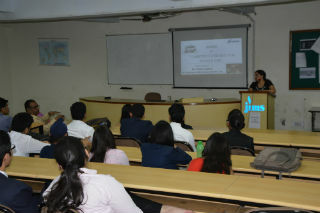 The session was conducted by the JIMS Alumna (Batch 2010-12) Ms. Nitasha Kapoor, Senior Consultant, Kelly Services India Pvt. Ltd. The session started with a brief explanation on the skills required to crack the interviews. She gave an insight on the importance of key skills which were demanded by the potential employers in a globalised and rapidly changing environment. In the later part of the session, she explained various job profiles offered to finace students and the certifications which can be done along with MBA/PGDM to obtain an edge over others. Students interacted in the session with keen interest and discussed questions about how to make career in the field of finance. In the end, she took quick interviews of a few students and gave them instant feedback about where they stand and how much improvement is required. 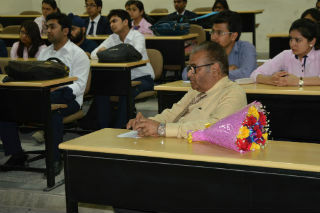 The session was well appreciated by the students and they want to have more such sessions.